Almost all of the providers let you send faxes by emailing a document to the number you are trying to fax to, combined with a custom ending. For instance if you wanted to fax something to 800-555-1212, you would send the document to an email like 8005551212@somefaxservicehere.com (not a real address). Ultimately, there’s no single best fax application for everyone. If you need to send quite a few pages on an ongoing basis, a subscription-based service like RingCentral or eFax could be the best. 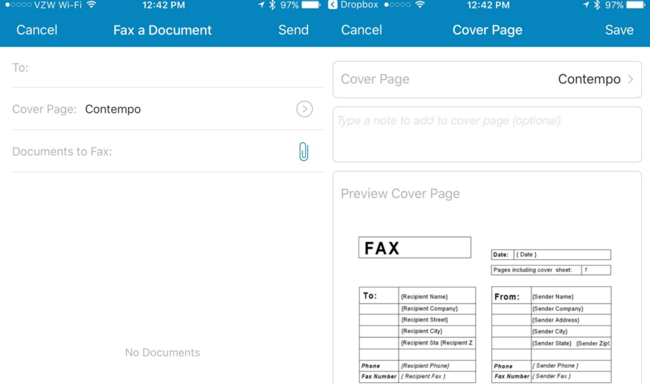 If you want to just send a quick fax, MyFax is probably your best bet.